Have you heard the saying what is old is now new again? Well do you remember the old Rangetsu on International Drive that was there for 24 years then closed in 2010. Well it’s been brought back to life in Maitland. Rangetsu is a Japanese restaurant where the focus is refining and re-defining Japanese dining. I was recently in Vegas for a fun trip and went to many restaurants as usual. When I walked into Rangetsu of Orlando, I immediately felt like I was back in Vegas. Rangetsu has high energy and great ambiance and a vibe that does not stop. This place reminds me of Dragon Fly on Sandlakde Rd; both are Japanese concepts, both have robata grill items on their menu, and both places have a sushi bar. 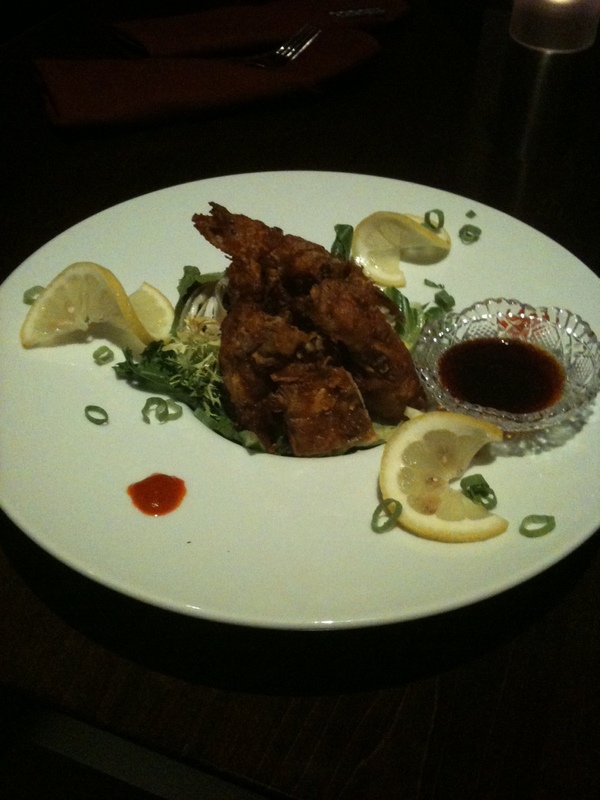 I started with the Spicy Soft Shell Crab $11. I liked this appetizer very much. It was cooked with a spicy batter and it turned out very crispy to my liking. It was served with a sweet soy aioli sauce. This dish was very well executed. For my entrée I ordered the Yakisoba $14. It was a traditional Japanese dish with stir fry noodles with beef and vegetables. It was just ok, nothing amazing. 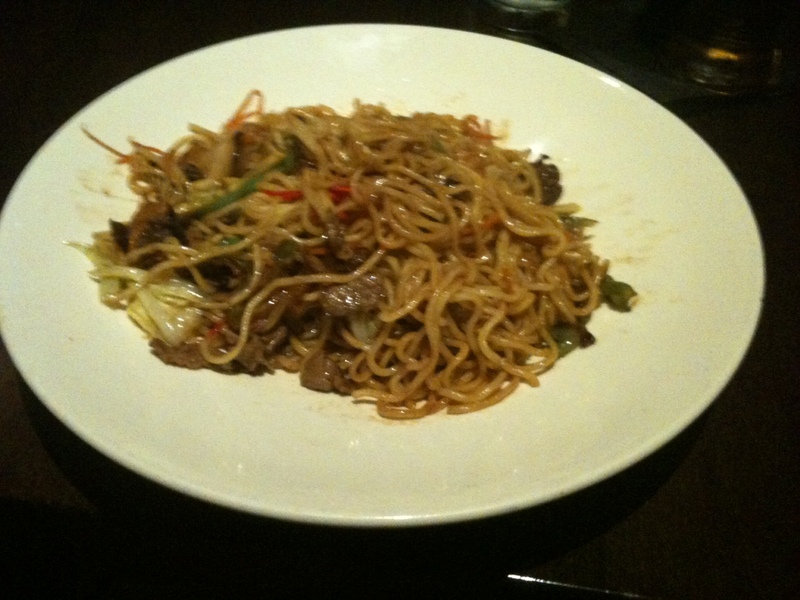 Reminded me of PF Changes lo mein dish but PF beats them hands down just on pure flavor. My guest ordered the Tokyo Chicken $16. This is a bone- in chicken breast served with Japan style teriyaki sauce. It was just ok, again, nothing amazing. What is amazing? The architecture, the décor, the bar area, the restaurant‘s look and feel as a whole. But the food was just OK on this night. Would I go back and try the sushi and other things on the menu? Yes. At this point do I feel PF Changs food is better than Rangetsu? I would say YES. The service was very good at Rangetsu; she did not miss a beat. Lots of managers were very visible to make sure the restaurant was firing on all cylinders. That was a nice change to see restaurant leadership everywhere. Parking was tricky. Rangetsu is located on the bottom level in an apartment complex so parking was limited so we used the valet service. It was raining that evening and the valet guys did an exceptional job making sure we did not get wet at all because its not covered from the valet area to the building itself. Rangetsu is located at 901 S Orange Ave, Maitland, Fl 32751. Hours are: Lunch served Monday – Saturday 11:30-2:00, Dinner Sunday-Wednesday 5:30-9:30 bar open till 11. Dinner Thursday- Saturday 5:30-10:00, bar open til midnight.